Today it's been five years that I started my own company. First as a graphic designer and since April as an illustrator and book designer. This calls for a party if you ask me. Today it’s been five years that I started my own company. First as a graphic designer and since April as an illustrator and book designer. This calls for a party if you ask me. Five years of beautiful projects, new contacts and big and small insights. I hope to continue doing this for years to come. It has not always been easy being on this journey alone, but it was worth the effort, joy, experience and sometimes the tears. So a party goes with presents and I have two little presents for two lucky fellas. 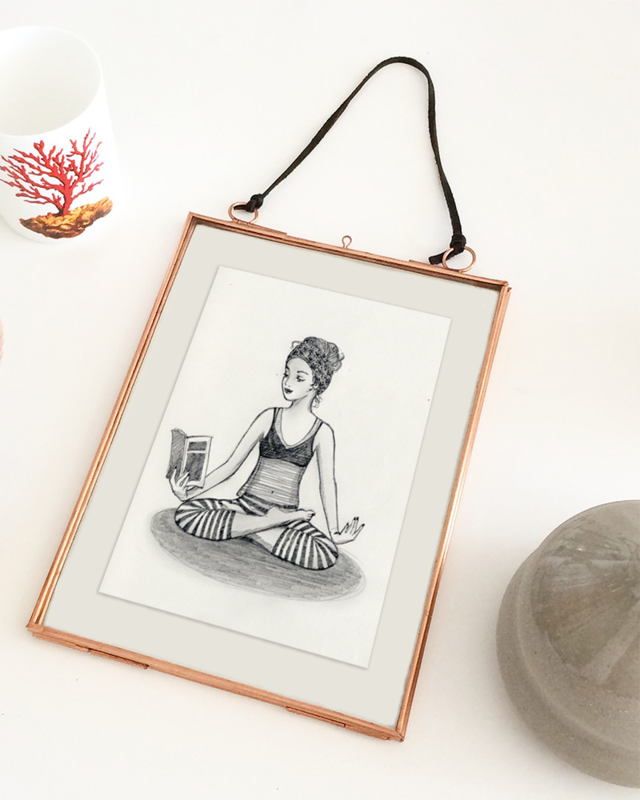 You can win this fine frame with printed drawing by me. Not necessarily the drawing pictured here, but you’re free to choose one on my Instagram account. Just leave a little comment on this page, tell me which drawing you prefer and I will randomly pick two winners. Have a go before the end of October! 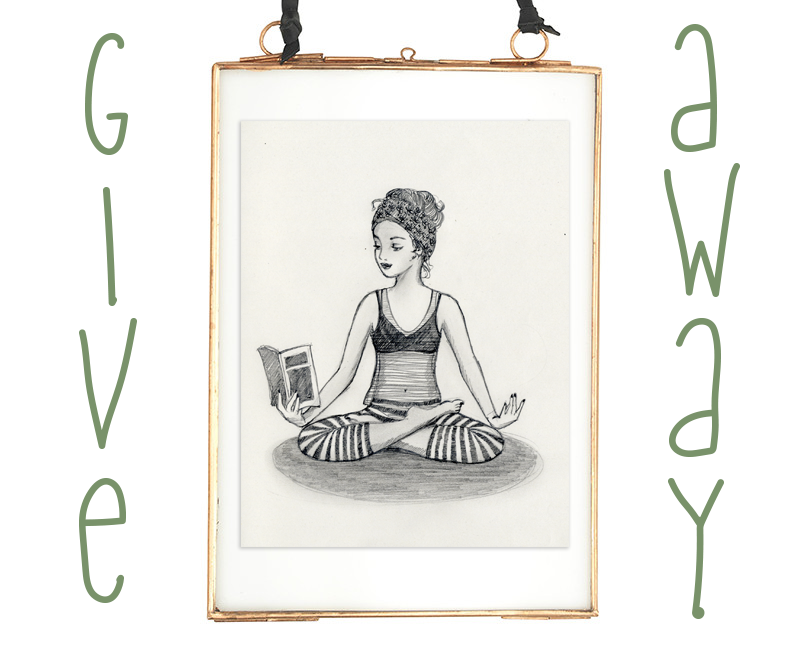 I will announce the winners in my next blogpost at the beginning of November. Many thanks for your comment and cheers! Wow, wat een ontzettend leuke reactie, ik zit hier te glimlachen achter m’n beeldscherm. En een mooie keuze ook! Oehh lijkt me prachtig, een mooie Verbrugge aan de muur! Dan is het niet alleen voor jou feest, maar ook voor mij, haha! De mooiste vind ik de 3 meisjes in het bos met het hertje, maar die is wel liggend. Qua horizontale vind ik de 4 zussen in kleur het mooiste. Je maakt prachtig werk, super stoer dat je deze stap hebt gezet en dat het zo goed gaat. Bloos, bloos! Dank je wel voor je mooie reactie en compliment. Ga zo door, op naar de 10! Wat leuk dat ik al aan je muur hang, een hele eer! Je feedback vind ik ook heel fijn, dank je. En tien jaar, ik ga ervoor!